If you go do a web search for “limousines Massachusetts” you literally get millions of results. There are hundreds of companies in the state so picking the right limo service can be daunting. With so many companies and cars to choose from, how do you pick the right one? The key is to do your homework. 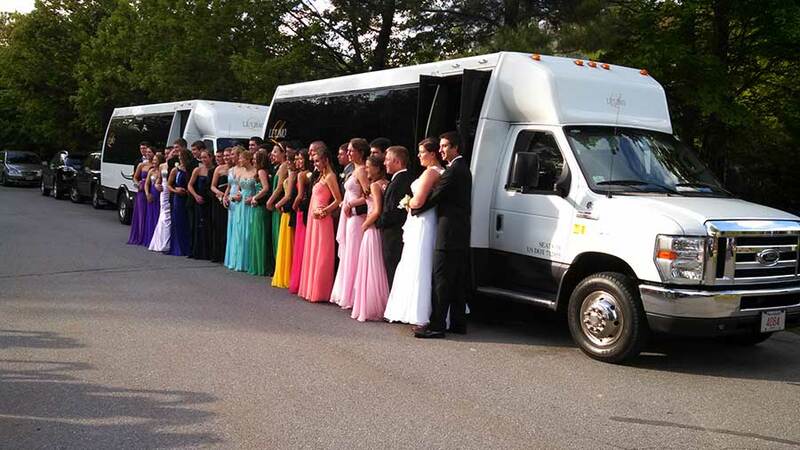 Below, is some insight as to what you should be looking for from a prom transportation vendor. Check out yelp, citysearch, google+, patch.com, insiderpages, businessfinder and Angieslist. The best way to learn about a company is to hear from former customers. They can give you a non-biased insight to the service you can expect to see from the organization. Also, you may want to check with Better Business Bureau to see if there are complaints file against your prospective transportation service. Le Limo has a 5 star rating with virtually every review site, no complaints with the BBB and an “A” rating from Angieslist. Business Experience is important. There are lots of nuances in coordinating a successful ride. The best way to make sure that everything runs smoothly at prom time is to hire a company with in-depth experience with prom transportation. If you find a newer company that seems to meet your needs, check into the experience of the staff. Have they been coordinating prom rides for a few years? Le Limo Limousine has done thousands of proms since our inception in 1986. There are an abundance of choices for vehicle types, stretch limos, party buses, custom-built trolley, shuttle buses, stretch SUVs and Mercedes sprinters. The average fleet size in Massachusetts is five. Smaller companies will obviously have fewer choices and less availability. Plus a lot of companies provide old vehicles. Your pictures may looked dated before your night begins. Le Limo has 27 choices for you. From a 2-passenger sedan to our 35-passenger trolley, we’ll have something that fits your needs. Seriously, take the time to see the vehicle you’re renting. Nothing is more deflating to get picked up in an old limousine or worn and tired party bus. You might be able to get a good sense of the vehicle from pictures online but make sure to confirm that the transportation you expect is the transportation you get. Le Limo regularly updates our fleet to make sure you’re riding in late-model vehicles. Additionally our cars get cleaned every day before they go out to a client. Please join us at our Open House, every Saturday from noon to 3 PM. Of course price is a factor. Limousine companies sometimes have layers of fees that they add on to your base rate. You’ll see fuel surcharges, administration costs, tolls and gratuity for the driver all the sudden your bill is 30% higher than you quote. Le Limo doesn’t do pricing that way; we give you an all-inclusive price. You pay the quoted amount for the quoted service. We think it’s the most honorable way to do business. One of the best ways to find good limo services is through word of mouth. Ask a friend, relative or co-worker who they might have used and if they were happy with the service. A first hand referrals is the best way to select a limousine company. Le Limo loves the accolades our customers shower upon us and the referrals they share with their friends. Call us to book transportation for your prom 800-287-8970. Busy prom nights do sell out. We recommend you contact us 3 to 4 months prior to your event.